Any parent will tell you that it seems like they are always on the go. With kids, there is always somewhere to be, whether it be getting to school on time, a play date, or ballet classes. Families spend a lot of time in the car. The safety and comfort of your family while traveling is a top priority for Mazda. Parents Magazine named the 2017 Mazda CX 5 as their Best Midsize Crossover on their list of 10 Best Family Cars of 2017. Keep reading to find out the top 10 reasons why the Mazda CX 5 is the perfect family SUV. The Mazda CX 5 boasts a large backseat, giving your family all the space they need. The backseat easily fits two car seats and gives children and passengers plenty of leg room. There is also room for the center cup console also comes down in between two car seats. This is a huge perk for traveling families. Parents can dispense more snacks or use it as a holder for their children. A huge pet peeve of many parents is the lack of anchors on the back row. The 2017 Mazda CX 5 had three anchor hooks, one for each seat. For a family with multiple children, car seats can be easily and safely installed. Having adequate trunk space is a concern for many parents. Traveling with kids comes with a lot of extra stuff. The 2017 Mazda CX 5 has lots of trunk space for storage. So it doesn’t matter if you have a double stroller, need to fit mountain bikes for the kids, or just have a ton of groceries: the trunk will have you covered. With the rear seats in place, the trunk space measures around 14 cubic feet that is available. But, when you stow away the split-folding back seat, that space increases the load bay to a very competitive capacity of 57.8 cubic feet. The trunk opening is very broad and there is not much of a load lip, so loading more cumbersome items is no longer an issue. The 2017 Mazda CX 5 has a sporty and stylish design on top of having all the functionalities of being a great family car. Upgrading from the 2016 CX 5, Mazda has tightened up the headlights into slimmer shapes. They have also made small tweaks to the appearance of the grille and rear fenders to give the car an even more modern and sporty look. The rear doors of the Mazda CX 5 are also engineered to open wider from the previous model year. This allows for easier child-seat loading and unloading. While this in no way takes over from manually checking your blind spot, the blind spot monitoring it is a nice added bonus. All parents know that sometimes the drive can be chaotic because of various factors such as crying children, traffic, and weather. It’s nice to know that the blind spot assist is there to help get your family to your destination safely. Technology support systems such as the Smart Brake Support and Mazda Radar Cruise Control (MRCC) with close proximity warning give parents an added boost of confidence when transporting loved ones. The I-ActiveSense technology also uses radar and camera for better safety measures. This technology is a unique engineering approach that does not sacrifice performance for fuel efficiency. This technology is an electronic system that momentarily pauses ignition as sensors determine the steering wheel is being turned at the same time the vehicle is moving at speed. This technology improves stability, increases traction, and reduces driver workload. It provides your family with a more comfortable and enjoyable ride. While cupholders may seem like such a basic detail, it is definitely a necessity when it comes to families. There are cup holders in both the front and back of the Mazda CX 5. The cup holders in the center console in the back seat can be folded up or down. It also fits between two car seats. When the console is down, it serves as a perfect height cup holder for children in the back. This makes life much easier for parents, since they don’t have to pass drinks back and forth between the front and back seats. In the front seat, there are two deep cup holders for that Venti morning coffee. If you have a regular cup of coffee, the Mazda CX provides a small disc about 1-1/2? tall to put in the bottom of the cupholder. So no matter what size your coffee is, the holder can be customized to keep your beverage safe and stable while you drive. For their 2017 model, Mazda has added new sound acoustic measures. There are extra seals for the doors and additional absorption material to quiet the cabin. This added sound technology also reduces impact noise over bumps. The underbody paneling was also expanded to cover more of the vehicle and now is made of a sound insulating material. Elements of the cargo-area trim also switched from hard plastic to carpeted pieces to reduce noise reverberation. The windshield of the new Mazda CX 5 is also thicker than previous models. As a result, the car is notably quieter. The new Mazda CX 5 has undergone some suspension tuning, allowing it to move down the road smoother than ever. The Mazda carves a clean path with well-controlled body movements and great handling. The 2017 Mazda CX 5 allows softer bump and body-roll compliance from the front dampers by lowering the friction. It also has hydraulic bushings in the front lower suspension arms. Both of these tweaks introduce a newfound smoothness to the ride quality. The wheels on the car drive quickly over bumps and cracks in the road without tossing the body around. Buyers of the Mazda CX 5 have been raving that it is an exceptional bargain. Mazda has managed to provide a lot of vehicle for not so much money. Compared to other competitive family cars in its class, the CX 5 delivers functionality and style with an affordable price. The safety features and crash test ratings from the U.S. News & World Report shows that the CX 5 is highly ranked. The safety scores based on the Insurance Institute for Highway Safety crash test ratings and the National Highway Traffic Safety Administration safety ratings show that the CX 5 is the perfect compact SUV to get your family to your destination safely. 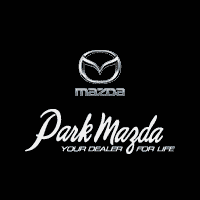 Ready For Your New 2017 Mazda CX 5? There are many vehicles out there that all claim to be the best choice for you and your family. The 2017 Mazda CX 5 is competitive in every single category when it comes to a family’s top priorities. Check us out to learn more about this car!